The Chicago Bears are hoping that linebacker Leonard Floyd can make a big impact for the team in his rookie season in the Windy City, and their first round pick is now under contract with the organization, the team announced Friday. Floyd, who was drafted with the ninth overall pick in the 2016 NFL Draft by the Bears, signed a four-year contract, with a fifth year option, according to the team. The Bears now have eight of their draft picks under contract, with only Florida defensive end Jonathan Bullard, a third-round pick of the team, serving as the only hold-out. The Bears traded up two spots in the first round to get Floyd, jumping ahead of the New York Giants in the draft order. Floyd had 184 tackles during his career with the Georgia Bulldogs, including 17 sacks. 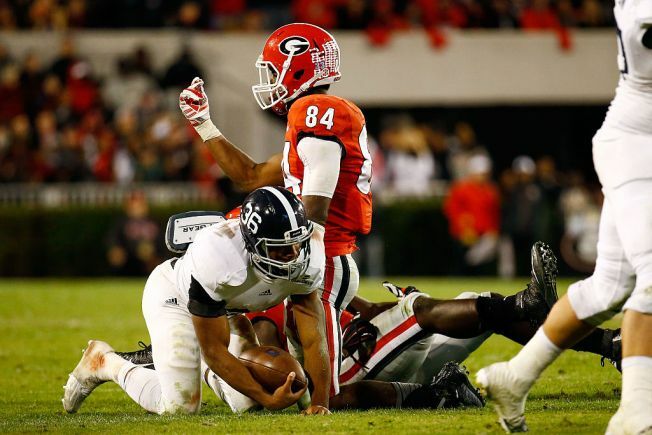 He had four and a half sacks and 10 and a half tackles for loss during his final season with the Bulldogs.